A new over-the-air update, a new bout of unhappy users complaining about their device and this time it’s the Asus Google Nexus 7. The original Nexus 7 tablet is the oldest device to receive the update to 5.0 and the Google product forums has around 150 posts (at the time of writing) in a thread with many, many unhappy people at the state of their Nexus 7 following the update. The word, “unusable” has been banded around, but to be specific, users are reporting delays when opening applications, some applications crashing (especially Facebook) and lag. Lots of lag. At first read, this is disappointing: I was excited to see the 2012 Nexus 7 receiving the update to Lollipop. And whilst the original Nexus 7 has a sluggish internal storage chip (this causes much of the lagginess), Lollipop is a better optimized operating system compared with previous generations mostly thanks to Google switching to the Android RunTime (ART). So: what’s going on? There are some pretty big clues in the thread – hit up the source if you’d like a look. The first recommendation is to disable Google Now notifications, which is something of a common trick for older or slower devices. This eases the load on the device and can help many a slow Android smartphone or tablet running Android 4.1 Jelly Bean of later. This isn’t a big help, because it highlights that the Nexus 7’s hardware isn’t the quickest. It should be up to running Google Now and I’m sure it is, but let’s read on. The next fix is to clear the application cache, and you do this using the Recovery Mode on the device: have a look online for instructions on how to do this. This will remove all temporary files from the device, getting rid of clutter. However, this appears to only provide users with a temporary fix and here’s why: it appears that certain applications are not yet compatible with the 2012 Nexus 7 running Android 5.0 Lollipop. And the fix? Remove any and all misbehaving applications! At least one user reports their Nexus 7 is working fine without any third party applications. Any application that hooks into the operating system even without being explicitly launched could compromise system stability. At the moment, that appears to mean dumping Facebook until the application developers update the app to make it compatible with your hardware. Actually, no; don’t just remove the application, but send in feedback to the developers when it crashes. It is not Google’s fault that the developers haven’t updated the application yet and you’re using a bleeding edge version of Android. I’m still confident that the original Nexus 7 has the stones to run Android 5.0 competently, but it appears that app developers are a little behind the curve. But please, don’t hate on Google for developers’ tardiness in updating their applications. 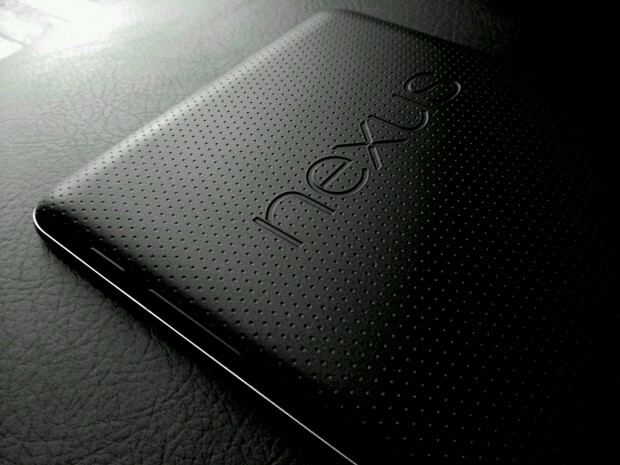 The post Update Your 2012 Nexus 7 And Don’t Panic: We May Have Some App Incompatibility appeared first on AndroidHeadlines.com |.